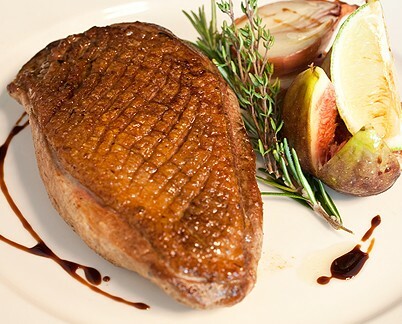 With a sharp knife, score the skin of the duck breasts, being careful not to slice into the meat. In a small bowl, whisk together the brown sugar, salt, and pepper. Rub this mixture into both sides of the duck breasts and let rest for 30 minutes. Set a cast-iron pan or other heavy skillet over medium-high heat. Add a little bit of canola oil to the pan to coat it and when it just reaches the smoking point, add the duck breasts skin side down. 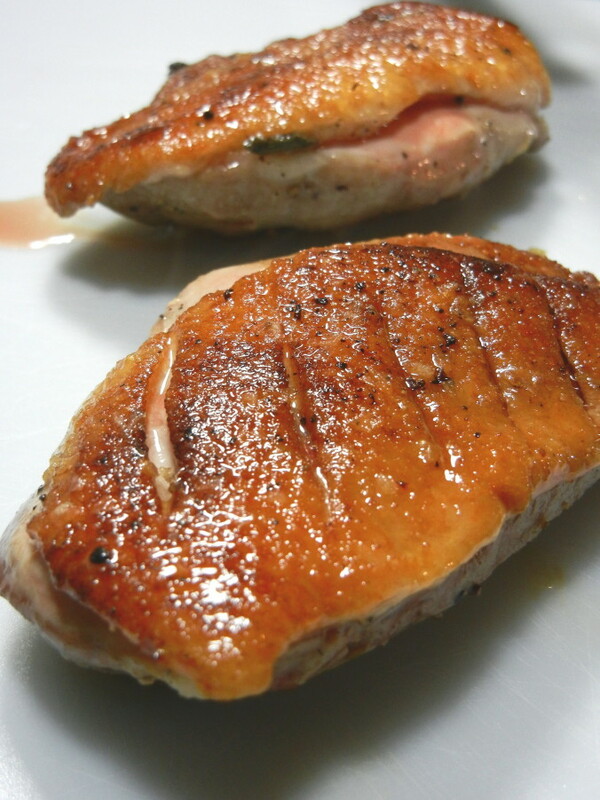 Let the breasts sear until the skin is crisp, about 3 to 5 minutes. Turn and sear the other side for a minute or so. Be careful not to overcook the breasts. You want them medium-rare. Remove to a warmed plate and tent with foil. To make the pan sauce, add a tablespoon or two of olive oil and the sliced onion. Sprinkle a pinch of kosher salt over the onions and cook for about 3 minutes. Deglaze the pan with the port or wine, scraping the bottom of the pan to remove the fond, or brown bits, then add the Saskatoon berries. Let them cook down for a minute or so, then pour in the duck stock. Simmer until the sauce is reduced by about half, then add the knob of butter. Swirl the pan to incorporate the butter. Return the duck breasts back into the pan, turning to coat all sides with the glaze, then transfer to a serving plate and pour remaining pan sauce over the breasts.